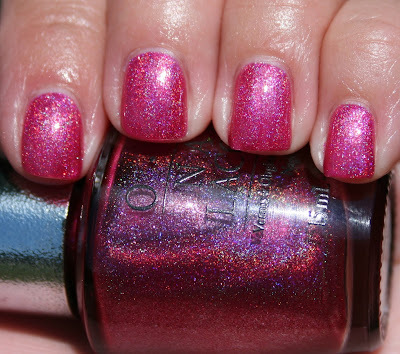 DS Divine is described as "divinely brillant fuchsia" and it really is pretty, although the holo effect you see in the bottle is not as apparent when it's on the nail, even in the sun. It's still insanely pretty though. This is a pretty one even though that its holo is not that good as you have said. I am thinking of still trying it out for it really is super pretty.